Accordium is a video creation tool that enables salespersons to create, share, and track personalised videos for better customer engagement and higher conversion rates. These videos can be created and posted on unique landing pages within seconds. Accordium claims to boost lead conversion by 35%, cut down on the deal cycle by 81%, and increase the email replies by 76%. All that the users have to do is simply start recording personalised videos through their browsers. As a result, salespeople can build stronger relationships with buyers. The tool can also track the engagement behaviour of prospects and intimate them about when to take action. For instance, users can choose to follow up when the lead opens the email, clicks on the link, or watches a video. How much does Accordium cost ? 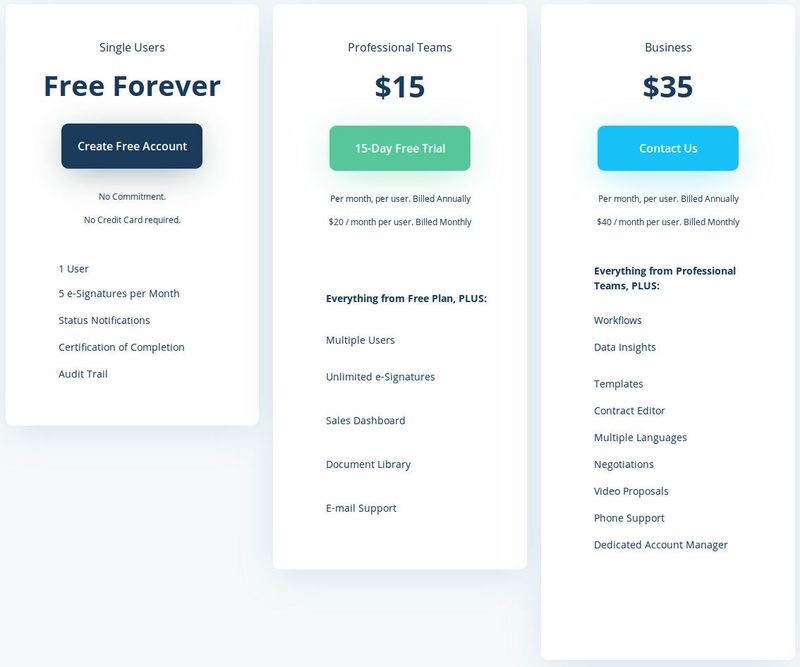 The pricing for Accordium starts at $15.0 per user per month. Accordium has 2 different plans such as - Professional Teams at $15.0 per user per month and Business at $35.0 per user per month. Accordium offers a Free Plan with limited features. They also offer an Enterprise Plan for their product. Pros: The software is easy to use and has a great potential. Overall: Please do not say that new features will come and then don't deliver. And then please check that your main functions work as promised. Thank you for your constructive feedback. It is unfortunate we have not met your expectations. We, like you, are excited to launch our new features asap and apologize for the delay. We endeavour to release new features on time and as quickly as possible. I believe my colleague has reached out to you directly to find out what went wrong and how we can fix this for you. Rehmi, if you do come across any problems with the main functions of the tool please do not hesitate to contact us directly at hello@accordium.com or through our chatbox inside Accordium. Our support response times are super quick (usually less than 5 minutes during working hours). Thanks again for your time, and helping us to improve. Pros: It is pretty easy to use, way faster than regular signing process. The clients understand it well, I havent got any issues with clients not understanding how the signing process works. Cons: I would like to have the possibility to delete incomplete contracts, sometimes we can make a mistake while creating a flow or we need to make changes to the contract after we send it to the client for signature so we need to upload a new document and make a new flow but we cannot delete the previous one. Pros: Accordium is very intuitive to use - especially compared to competitors like DocuSign. Besides that Accordium has a really great customer support function, which a lot of their competitors are also lacking big time. Cons: Like a lot of other software solutions needing to send e-mails to people who have not said yes to it before the first interaction some of the e-mails from Accordium unfortunately end up in the spam folder. This is very frustrating especially when working with corporates that have a high spam filter. 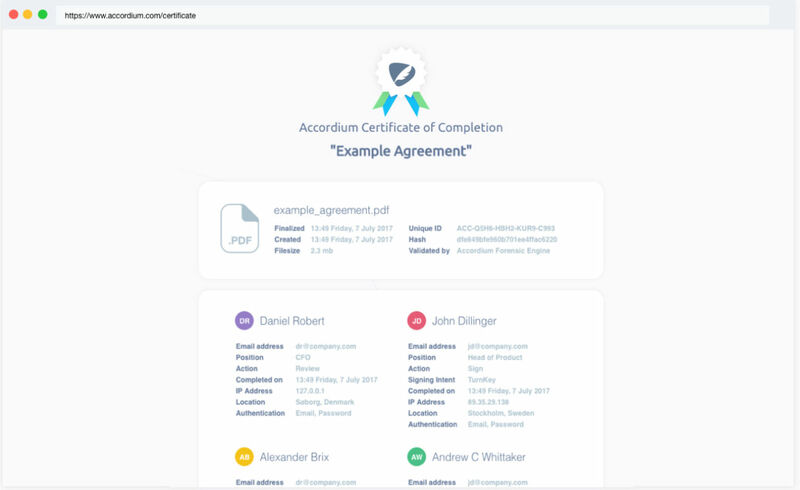 Overall: Accordium makes it easy to get our investors to sign documents. The same can be said when we have used it for other purposes like signing contracts with corporates. Cons: Can not adjust the document online on Accordium , have to go back to the orginal file - adjust it and upload it back on Accordium. Overall: Accordium has changed the process nature of signing contracts online. 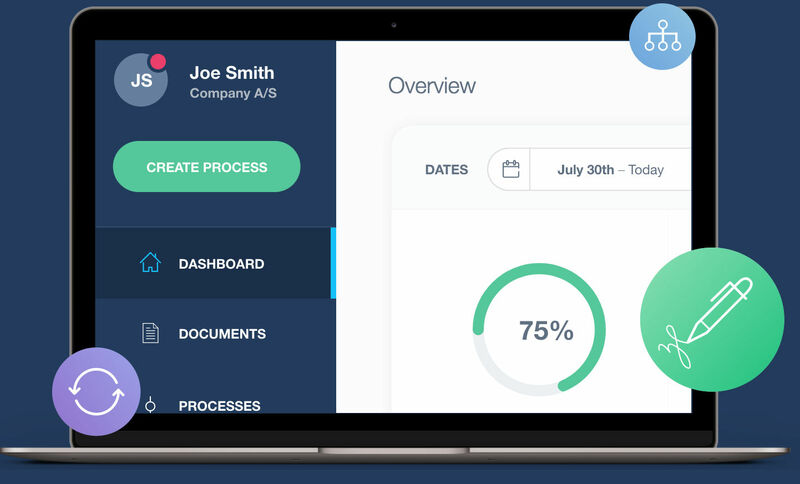 This software enables sales teams and other users to upload the contract in less than a minute and create the flow of people that have to pass through till gets finalized. Super easy - quick and none of my clients has asked me how to work it out. SELF EXPLANATORY and doesnt require to download any sort of software. Pros: The fact that we can now handle all our contracts electronically makes us more efficient as an HR team. My location is not important anymore as I can sign contracts from wherever I am located in a timely manner. I sign 99% of contracts on my mobile these days. Cons: I am very Happy with the software. We are waiting for more functionality which will improve the software even more. It will be even better when it becomes possible to edit directly in the contracts. And it would be great if there was a button to get to the start of the contract in the mobile version so you do not need to scroll. Pros: Accordium is an extremely simple software to use. When our company was searching for a better process for sending and signing a contract between our sales team and prospects, or internally, we looked into all the major players. This product was so simple and clean, really easy to use. They started with a very basic product, but they have implemented so many new features only in the time we have been using their software that improves the process. Being able to save contacts, send reminders, and see the clients have viewed the contracts are so useful and were lacking in our process before. Cons: As the product is still young, there are some needed features that are missing, like being able to create templates directly on the platform. The company started with a very basic product and continue to add the most demanded features, which is a great quality, but until some of the needed features are implemented, the software will be lacking. Overall: For being a software company in the industry of innovation and technology, when it came to our closing procedure, we really did not have a good system in place. We were writing our contracts in emails and sending it to clients asking them to reply with their agreement. Editing details would turn into confusing emails back and forth with little edits, and it would push the negotiation to email, rather than a verbal conversation. Switching to Accordium completely changed this process for us. We were able to simplify and professionalize the small but crucial step of sending a contract to a client and getting a signature. Over the time we have been an Accordium user, we have been able to easily share contracts with necessary team members, track the open rate, send reminders to clients without nagging, and eventually, get the signature much more efficiently than before. The product itself is still young, so it has not been cluttered with unneeded features and has so much room to grow and spread into other parts of the sales process. They have people with real sales experience in their team that know the struggles that sales reps face. It is rare to find a provider in this industry that cares so much about the customer's opinion. If they stick with the intentionality and care that they currently hold, Accordium will be a great tool, useful for any industry. Cons: A bit long-winded to use, though still very easy. Cons: Making your own signature, would like to get the contract more easily. Thanks for your feedback, happy to hear you found it easy to use!